GitHub - alexanderrichtertd/plex: Open Source Pipeline for Maya, Houdini, 3ds Max and Nuke . Want to be notified of new releases in alexanderrichtertd/plex? Check out the documentary, releases and read the open letter. 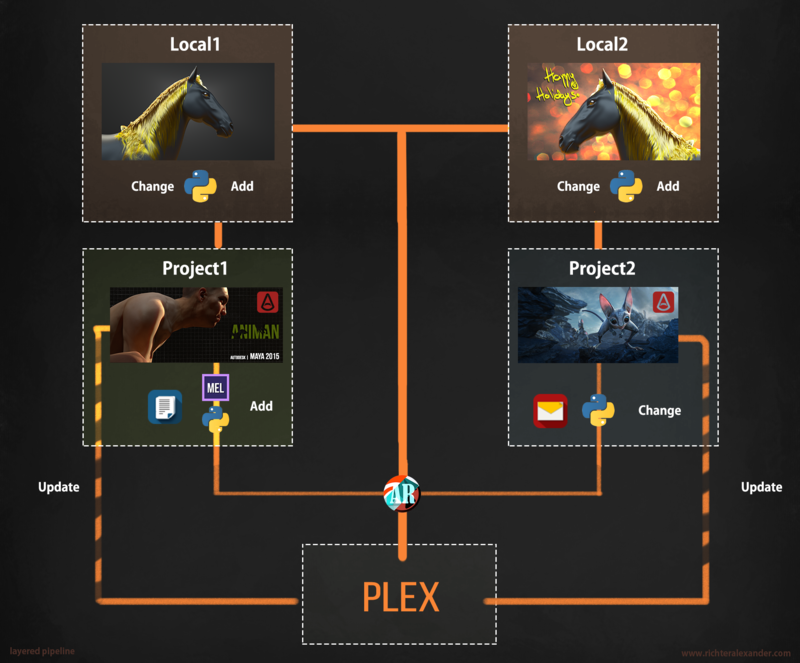 Plex is an Animation, VFX and Games pipeline managing important workflows during production. Its core is a flexible and independent system for small to mid-sized projects and companies. The basic idea is to handle the file and folder structure work, setups basic rules and guides the workflow to allow a collaborated working. Intuitively guiding the input and output of users to overcome problems and achieve goals. Now you have a good game ... or pipeline. The main idea is to have an overall system which lays the foundation for the modular scripts that are plugged into the pipeline and add to its functionality and overall awesomeness. Plex is available under the MIT License. You can use it for commercial or non-commercial projects. Please include the attributes and a credit in your docs.